This dog tag is stainless steel and powder coated in a white finish. The artwork is directly printed in full color on the part. 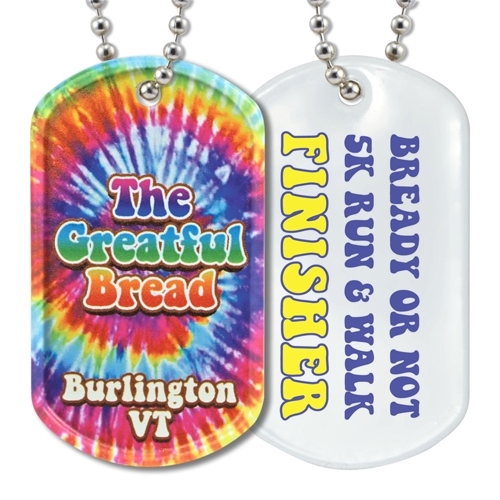 These are great for awards, sports teams, clubs, keepsakes, party favors, fundraisers, souvenirs, awareness and much more. Bead chain or split ring can be added for an additional cost. 100% Made in the USA. Imprint Size: 1.2" x 2"